The FIRST LEGO League Challenge is a international science and technology competition for children aged 9 to 16 which runs each year. Teams of up to ten children complete a themed project and a set of robot challenges and they follow the core values of the FIRST LEGO League. 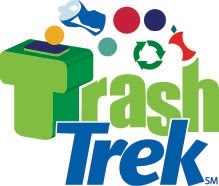 The theme for this year is Trash Trek and the challenge resources are now available so teams can start their preparations. For the project, teams will need to come up with their own problem related to dealing with trash and then they will need to engineer a solution. Then teams will need to come up with solutions to a series of environmentally themed robot challenges. They will need to use LEGO Mindstorms to build an autonomous robot that can solve the Trash Trek missions. The 2015 Trash Trek videos are a good way to get an overview of the 2015 challenge. There's lots of information available for adults who are helping teams including an iOS app for FLL coaches. Head to the FLL website and find the FLL website and contact details for your country. Registration is currently open and closes in October (or when all slots are full), check your local site for details and for info on regional competitions that you might want to register for.